As much as I hate to say it, there ARE "tricks" to looking pulled together. Once I figured them out, I thanked my lucky stars for the constants in styling oneself and decked out my closet accordingly. On a day where you're exhausted and can't think of something to throw on. Resist the urge to put on jeans and whatever and think of the guidelines that brought me to this look! TRICK 1 - PICK AND STICK TO A SOPHISTICATED COLOR PALETTE. No, I don't mean all black. That's lazy-ish. I mean camel and black, grey and green, navy and burgundy. There are more, but just know on a day when you can't think - go for ONE palette and dress for it. TRICK 2 - PAIR COMFORTABLE SEPARATES WITH A HIGH END LOOK. What does that mean? It means going with the jeans that have a wax coating instead of being matte. Wax coating gives the jeans more of a punch. This top for example, would feel way more casual if it didn't have the added design touches. TRICK 3 - have a pair of stylish boots in your arsenal. Stylists will tell you, you need a basic black boot in your closet. This is true. But you also need a boot with flair for days like these. You throw them on and can trust it will elevate your look. Same with this blazer. A combo of tan, with a black lapel. Slap that thang on! TRICK 4 - WEAR THE CLASSIC PIECES. 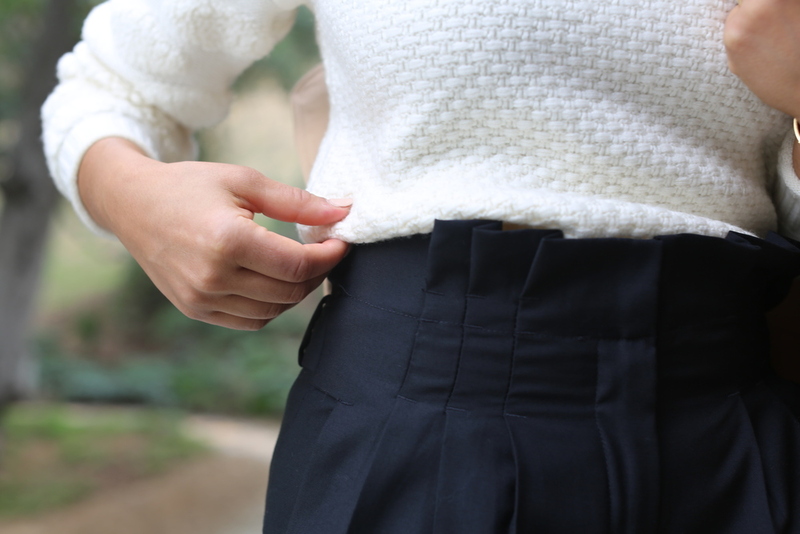 Reaching for the classic pieces in your closet, just makes it easier to dress yourself. A trench. Yes. See the color play here? It's imperfect, which want we want. It works, but it's not trying too hard. That's all I got! What say you? Leave a comment why dontcha'?